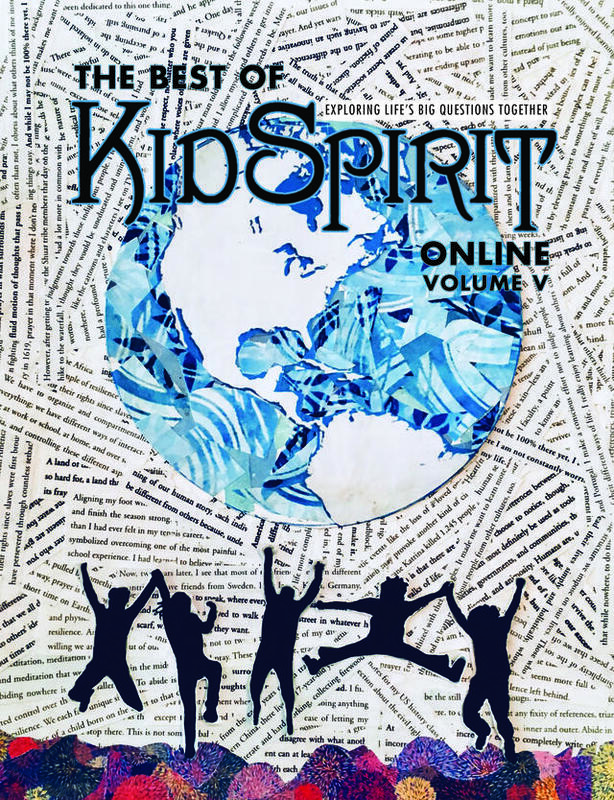 The Best of KidSpirit Online, Volume V, features the most inspiring articles, poems, and artwork by 11-to-17-year-olds published on KidSpirit during 2017. This major collection includes important youth writing on the themes of four issues: “Simplicity and Complexity,” “Resilience,” “Unity and Division,” and “Creation and Destruction.” An exceptional compendium of youth talent, this volume features award winning pieces chosen by a global network of young people throughout the United States and abroad, from Beijing to Sarajevo to New York, and other exceptional works that will inspire teen readers to become engaged citizens and critical thinkers. Original artwork and poetry accompany beautifully designed full-color articles. Each issue of KidSpirit revolves around a Big Question posed by the editors and answered in depth by one contributor. All four responses from 2017 are included in the compilation. The volume also offers inspiring personal stories of transformation, eye-opening expository investigations of meaningful topics, powerful poetry, and more. KidSpirit also includes one column authored by adults, featuring wisdom on each theme from an expert in the field. The Best of KidSpirit, Volume V, contains pieces by Rev. Konrad Ryushin Marchaj, Nick Stuart, Benjamin Jealous, and Roshi Joan Halifax. This book is a rich resource for families, educators, and youth workers looking for meaningful content and discussion starters, and a great addition to school libraries. To purchase The Best of KidSpirit, Volume V, please click here. In honor of KidSpirit's tenth anniversary, we are proud to release 10 Years of KidSpirit, a print anthology of the most insightful and inspirational work from our first decade. To purchase the volume, please click here. Though 314 pages long, the book represents only a fraction of the wide ranging work published in KidSpirit by 11- to 17-year-olds around the world over the past ten years. In its stunningly designed pages, young people from diverse cultural, socioeconomic, and religious backgrounds explore almost 35 meaningful topics, including power, money, heritage, climate change, discovery, and peacemaking. Through expository essays, personal narratives, media reviews, poetry, and art, they dive deeply into questions that go to the heart of life and share insight sure to spark engaging conversations and transformative reflection. This beautiful collection of youth-created work has been recognized with a Wilbur Award for Youth Books from the RCC, as well as a 2017 S&P Award from Spirituality & Practice, which calls the book "a superb sampler" that "you need to get . . . you will hear about these young people's hopes, their concerns, and their passions." 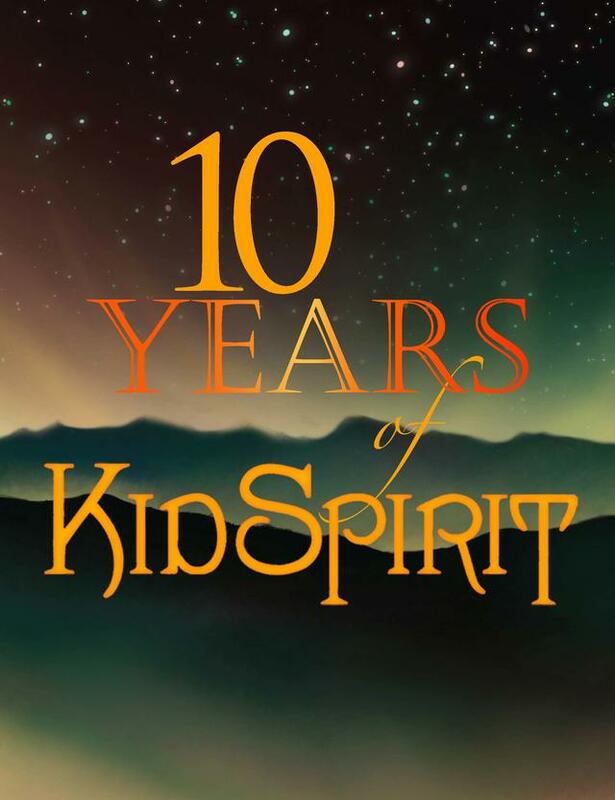 Milbrey McLaughlin, Jack Davies Professor Emerita at the Stanford Graduate School of Education, adds that "10 Years of KidSpirit is an exquisitely beautiful book in its stunning graphics and art, but most especially in the thoughtfulness of the young people’s viewpoints collected there. Their understandings of the world constitute a treasure to return to, and learn from, again and again." To purchase our other print editions, the Best of KidSpirit, Volumes I - IV, please click here.